Do you understand what they are and how they impact your businesses marketing plan? Do you know what marketing channels you should be using to get that message to your target audience? Are you searching for local area marketing ideas and overwhelmed by all the possible options? In reality it should be simple and 10 years ago there were only a few choices, now it’s a minefield of choice and confusion. One strategy for your local area marketing ideas is to use narrowcast and concentrated marketing techniques such as sms or targeted social media ads, as opposed to broadcast marketing. Broadcast being traditional radio, print or TV that mass audiences will see. Another strategy is to focus on only one or few markets with a specific message. This will ensure you are getting the right message to the right market in a timely manner. For example you can have a website split into 3 log in’s based on type of client and each has different content, testimonials and resources. US based paint brand Benjamin Moore has done this very successfully. Work with the sales and operations departments. What is the current state of New Product Development and how can we communicate it to our target market? Augmented Digital Marketing – How can you use new LCD business card technology to broadcast your businesses message? B2B (business) marketing — marketing to other businesses. Your core customers should be separated into different groups and a different approach taken for each one. B2P (person) marketing — create a marketing strategy to target key decision makers in each of your target markets. What can you send them that put your brand at top of mind or first call. Behavioural marketing — targeting advertising/offers based on user behaviour. List key clients and look at their usage and how we can build the relationship and increase revenue. Is there a pattern of business types or usage we can learn form and capitalise on? Brand we need to develop a fresh and consistent brand message and make sure all touch points have a consistent look and feel. Catalogue marketing — whilst we are using CRM to communicate to our existing and prospective client base, we should consider creating a printed catalogue of the services we offer and direct mail them to prospective clients that are targeted by industry and probability of conversion. Cause marketing — Are there any local causes we can be the advocates for and sponsor without losing an income stream? Cooperative marketing — Are there opportunities to co-market. Content marketing — Blogging about our services and contributing to other blog posts will provide GE with a higher Google relevance ranking and organic reach. Database marketing — Understand the capability of Infusion Soft to get the most out of our databases to drive marketing messages and offers. We need to be narrowing our marketing efforts down to certain groups of people, and analysing statistics like name, address, or sales history, in order to create the most accurate marketing messages as possible. Drip marketing — Send out scheduled targeted emails that are all coordinated to a specific goal of client conversion. Use Infusion Soft to setup multiple emails at one time and let them “drip” over time, look at how we can includes phone calls to check in on prospective clients along the way. Make sure our email opt-in option is clearly visible on the website or blog and there is a reward for opting in i.e. free eBook. Continue to send regular emails to our list, but segment by industry. Weekly email to different groups. Perfect your email signature call to action. Look at integrating audio [podcasts], video and social sharing functionality to our email campaigns. Green marketing — Make sure we are creating awareness of GE products that are environmentally friendly, in our blogs i.e. product profiles, and other marketing collateral. Industrial marketing — B2B marketing but specifically for large firms, esp. manufacturers of products where they produce or handle liquids that could cause OH&S issues as a result of spills. Influencer marketing — Who are key influencers in each industry and how do we partner with them. Internet marketing —Key part of the strategy and will encompass a variety of marketing forms like video, podcasts, SEO both on-age and paid, and e-mail marketing. Start a Google Adwords pay-per-click campaign. Start a Microsoft adCenter pay-per-click campaign. Record a video blog post. Check your online directory listings and get listed in desirable directories. Set up Google Analytics on your website and blog. Review and measure your Google Analytics statistics. Register a new domain name for a marketing campaign or a new product or service. Learn more about local search marketing. Sign up for the Help a Reporter Out (HARO) email list. 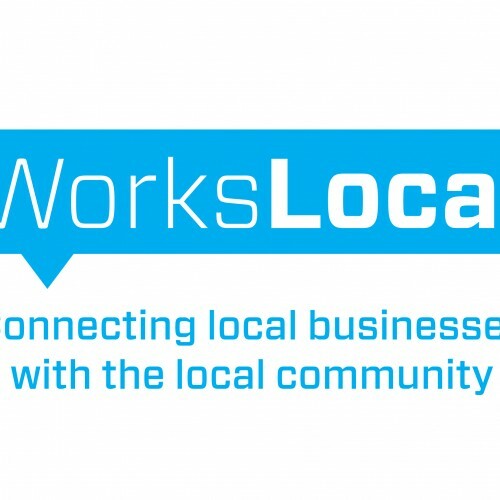 Workslocal can help you create an amazing local area marketing campaign that will grow your database and social following. Store characteristics Word for word, “local store marketing” can generally refer to any marketing techniques a localized business, in any industry, uses to market itself to the area it operates in. For the most part, within marketing and advertising circles. Local Store Marketing includes a vast array of techniques utilized by businesses everywhere. Some of these include promotion of business in a local chamber of commerce, personalized direct mail or correspondence to local customers, issuing local press releases, hosting events, sponsoring promotions, purchasing ad space in print, outdoor, or local television, etc. Loyalty marketing — focuses on growing and retaining existing customers, e.g., rewards programs. Marketing with Content, Content is king, without it you have little to no chance of creating engagement. Plan a free teleconference or webinar. Submit your press release to various distribution channels. Rewrite your sales copy with a storytelling spin. Make your business card stand out from the rest. Create or update your brochure. Create a digital version of your brochure for your website. Update or create a marketing plan for your business. Revisit or start your market research. Write a unique selling proposition (USP). Refine your target audience and niche. Expand your product and service offerings. Mobile marketing — marketing delivered via mobile devices such as Smartphone’s. Along with Internet marketing, mobile marketing is part of the newest groups of marketing activities. Companies have been experimenting with the certain ways to reach consumers through their phones, especially with the rise of Apple’s iPhone. Some ways to marketing a product or service through a mobile phone include SMS marketing, in-game marketing, banner marketing on different web pages and location based marketing. Nano-campaigning refers to an approach within Marketing communications, Public relations and Lobbying which uses personalized and product-specific or issue-specific tactics as the starting point for more extensive strategic campaigns. It is based on the principles of social psychology and is enabled by the application of social media technologies. Nano-campaigning is the tactical promotion of ideas and messages, tailored to individuals or select groups, with the strategic aim of encouraging a campaign to grow and build momentum beyond a small, focused audience, enabled by the multiplying effects of communication technologies and social media. Newsletter marketing is delivering regular newsletters to target audience via email or print and refers to ways of promoting your company through emails. Typically, a firm using newsletter marketing will have a group of contacts that they will send a newsletter containing some interesting information to. The success of newsletter marketing depends on grabbing attention by being creative, writing good content and reaching a large number of potential clients. Niche or Narrowcast marketing is targeting very specific audience segments by focusing your effort on that niche to address a need that isn’t currently being addressed. Targeted marketing is successful because the marketer has identified a need that isn’t being resolved by mainstream providers. Sometimes it is beneficial for a company to focus on a niche instead of trying to compete in a larger market. Non-traditional marketing — methods outside the norm, e.g., publicity stunts, guerrilla marketing. Offline marketing — all marketing that doesn’t happen online, traditional marketing. The opposite of online marketing, includes all forms of marketing that aren’t done on the Internet. Examples of offline marketing are local advertising in newspapers and on television. Find ways to leverage your offline marketing campaigns with your online ones, making them complement each other. Organisation marketing: It consists of activities undertaken to create, maintain or change attitudes and behavior of target audiences towards an organisation. Outbound marketing — contact prospects via ads, cold calls, list rental; opposite of inbound. Outbound marketing includes any marketing efforts that are taken to introduce a product or service to someone who isn’t looking for that product or service. 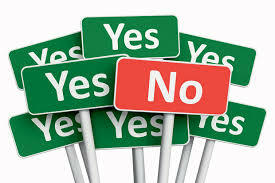 Some examples are cold calling, sending newsletters, billboards, and banner ads on different web sites. Personalized marketing — like one-to-one marketing, including product customization. The goal of personalized marketing is to create a unique offer for each individual customer. This form of marketing doesn’t work for every company, but certain ones can capitalize on their unique products and customer demographics to market to individuals. With the Internet becoming a more popular place for marketing, companies are finding that personalized marketing is affective in cases when they can track a customer’s specific interests and send them more information for future suggestions. Person Marketing: It consists of activities undertaken to create, maintain or change attitudes or behavior towards particular people like politicians, sports stars, film stars, professionals to promote their careers and income. Place marketing involves activities undertaken to create, maintain, or change attitudes and behavior towards particular places e.g. tourism marketing. Promotional marketing — broadly speaking, almost any kind of marketing to attract customers, it is a common form of marketing strategy that companies use to motivate a consumer to make a decision and purchase their product. There are a number of ways that businesses will promote a product or service, including holding contests to win a prize, offering coupons for purchasing a product at a discount, and having samples of the product so people can experience it before they purchase. Get you business in front of over 30,000 a month with Number Plate Stickers exclusive to Workslocal. media channel such as 4Sq’s SWAM triggers a special when they are in the area. If your business is doing great things in your community then don’t forget to tell them about it! Get to know your local newspapers and media outlets; they are always looking for great stories to tell. Have you had any interesting customers lately? Done any unusual jobs? Does your business support any major events currently happening in your area or beyond? Do you have a heartfelt story of success or have you overcome a battle to get where you are? Push marketing — prospects pull messages from you, synonymous with outbound marketing. Real-time marketing — accelerating marketing in the age of speed. Referral marketing is encouraging or incentivizing existing customers to refer new customers. One of the less strategic types of marketing, referral marketing relies on a company’s customers to refer new customers to that company. Also called word of mouth marketing, this is a more spontaneous way of receiving new business, and cannot be solely relied on because results aren’t very predictable. However, word of mouth is still a powerful part of a company’s efforts to bring in new business, especially in the social media community where communication travels freely. Relationship marketing puts an emphasis on building long-term relationships with customers. Marketing through creating, maintaining and enhancing strong long-term relationships with customers in order to win his loyalty e.g. a restaurant can build relationships with customers by sending him wishes and discount offers on his birthdays. Send out a customer satisfaction survey. Plan your next holiday promotion. Plan holiday gifts for your best customers. Send birthday cards to your clients. Approach a colleague about collaboration. Donate branded prizes for local fundraisers. Re-marketing — modern meaning: behaviourally-targeted advertising. Reply marketing is replying to end-users with personalized messages, e.g., Old Spice campaign. Reverse marketing. This form of marketing is similar to inbound marketing. The goal of reverse marketing is to market a product in a way that will cause the consumer to seek the firm doing the marketing. Reverse marketing can be conducted through such means as television, print and Internet marketing. If a company has a product that solves a problem in the market, they will have more success using reverse marketing because they will seek out that product. Self marketing is marketing yourself, also known as personal branding. Social marketing is trying to influence and change people’s behaviour for the better, not social media marketing. It refers to the design, implementation and control of programs to increase the acceptability of a social cause or practice among people e.g. anti smoking, organic farming, green marketing, publicity campaign for casting vote. Social media marketing is interacting with prospects in social media channels and provides a window to market a product or service on the Internet through different social networks. Companies can use these outlets for their marketing, customer service and sales. The most common and successful means of social media marketing are found on sites like Facebook, Twitter, LinkedIn, YouTube and even company blogs. Social Pull Marketing — is the adaptation of the traditional Push–pull strategy marketing concepts to Social Media Websites. It utilizes the traditional Pull concept for a new way of Social Media Marketing. To get a basic understanding of what Social Pull Marketing is, just think of people friending you rather than you friending people. You or your company must create a need for someone to friend you or your company. That need could be, information, electronic coupons, and other electronic items that people want, however, only your friends can get. Facebook example: Your Facebook “friends” will receive a flow of information pertaining to the activities that your demographics would want, How to information, Painting tips, decorator ideas, etc. Your Facebook friends can also receive special discounts via electronic coupons. By following this Social Pull Marketing strategy, your Facebook friends are pre-qualified buyers. Real World Experiment example: Social Pull Marketing can be applied to all of the Social Media websites. “I would rather have 400 people that friended me, than have 4,000 people that I friended. The reason is, I would have 400 people that chose to be my friend, and they are pre-qualified buyers. The 4,000 people I friended accepted my friend request only because I asked them and most likely will not pay attention to what I have to say on my Social Media website”. Synchro marketing: Refers to balancing the fluctuations in irregular demand for a product due to seasons, timings etc, through flexible pricing, promotion and other incentives e.g. heavy off-season discount on woolens may increase its demand to some extent. Trade show marketing — subset of event marketing, exhibiting and promoting at trade shows Companies that want to reach a large number of potential customers can participate in public or private trade shows. Trade shows and other forms of event marketing are often a large investment to participate in, but trade shows allow companies to demonstrate new products and examine what is going on in the industry. Take a controversial stance on a hot industry topic. Sign up for online business training to revamp, expand and fine tune all of your marketable skills. This type of marketing relies on the message of a marketer being spread quickly through various social networks in order to increase brand awareness. The name viral marketing stems from the rapid spread of viruses in general. Typically, a viral marketing campaign will not last as long as other marketing efforts, but if a company can come up with a good idea for viral marketing and reach the right people, it will become highly successful in a short amount of time.